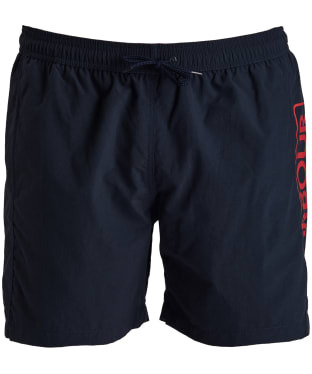 Perfect for relaxing on the beach or heading for a swim, the Men's Barbour International Block Swim Shorts are a summer wardrobe essential! 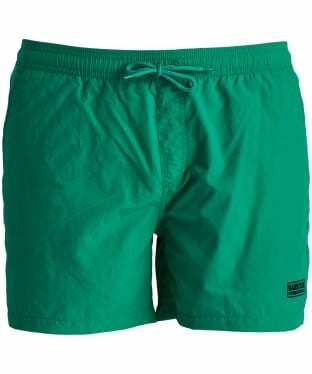 Cut to a new short length, these International shorts boast a stylish sports block colour design to keep you looking on-trend. These Men's Barbour International Logo Swim Shorts are cut in a short length and feature a drawstring waist tie and a silicone logo at the hem for an on-trend feel. They are finished with two side pockets for a practical touch. 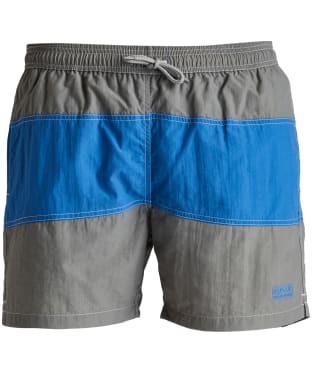 Who else is ready for the beach? 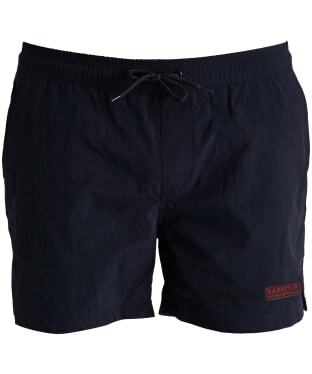 These Barbour International Large Logo Swim Shorts are the ideal style for your summer holiday! 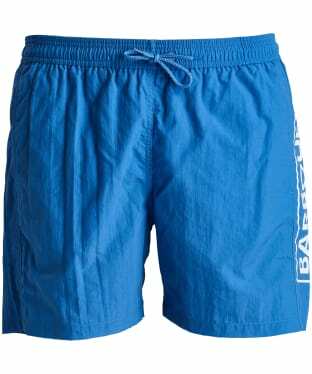 Bright and bold or with just a flash of colour, these Barbour International Swim Shorts feature a striking Barbour International logo to the leg. 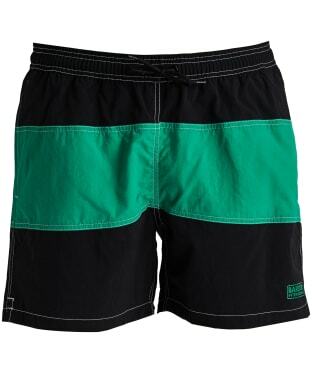 Two side entry pockets sit to the hips (so be sure to remove all of your essentials before you jump in the pool! 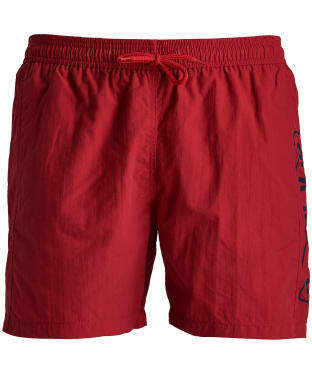 ), while the hips are secured with an elasticated waistband and drawcord for added comfort.